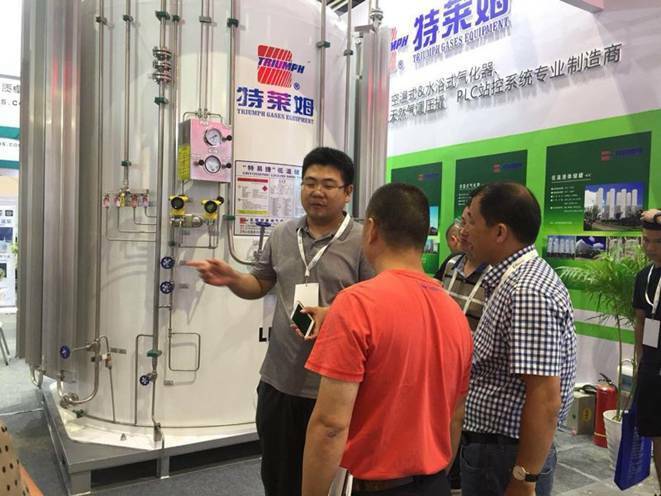 On September 5-6, 2018, The 20th China International Exhibition on Gas Technology, Equipment and Applications was successfully concluded at the Hangzhou International Expo in Zhejiang. 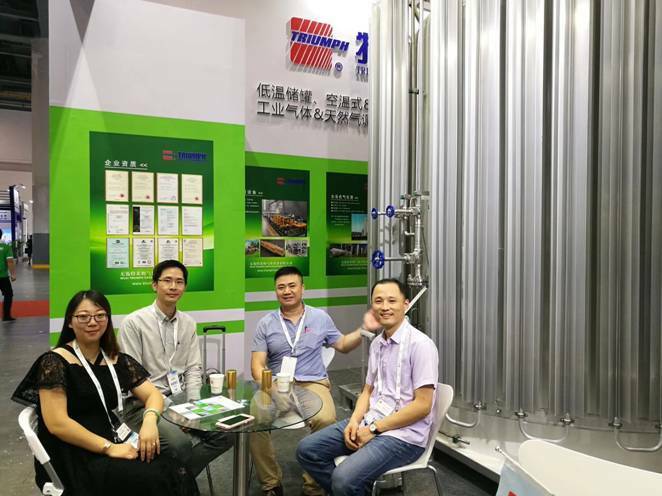 Wuxi Triumph Gas Equipment Co., Ltd. was invited to participate in the exhibition.We showed our four product series: cryogenic storage tank, ambient air vaporizers/water-bath vaporizers, pressure regulating skid and PLC control system. Consolidate existing partnerships, explore a large number of potential customers, and lay a solid foundation for continuing to explore domestic and foreign markets. 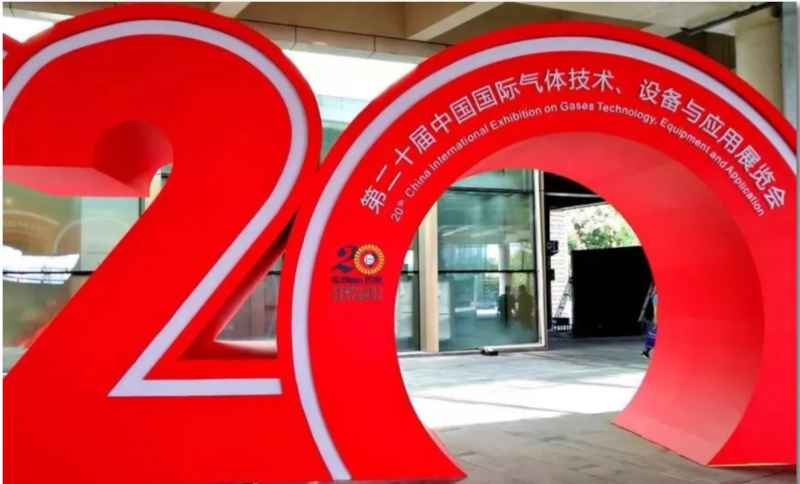 The opening ceremony of the exhibition attracted 60 guests from more than 10 Chinese and foreign industry associations and institutions. 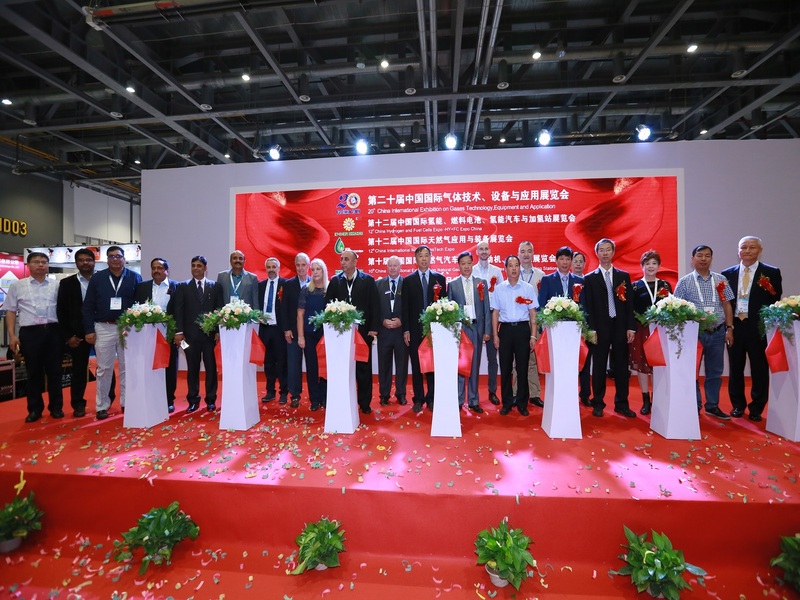 Chairman Yu Bin attended the opening ceremony as a special guest. 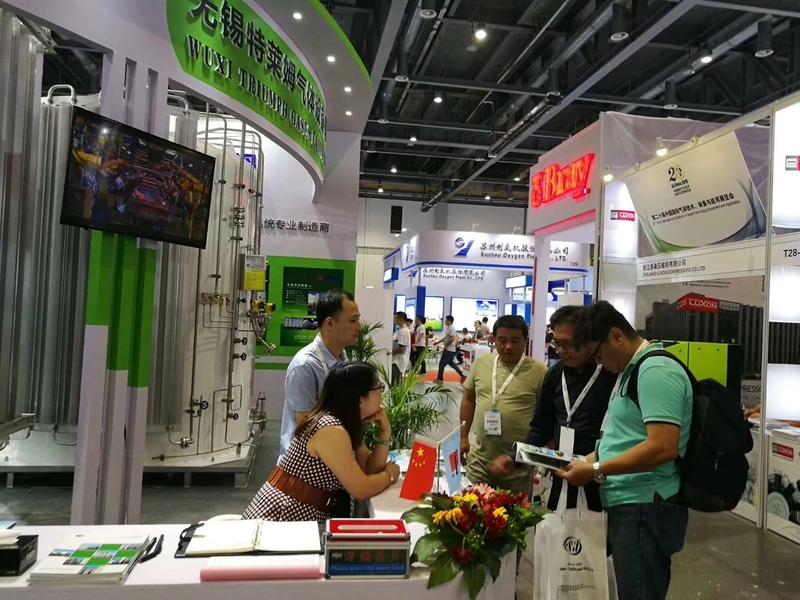 Nearly 200 companies from the global gas industry participated in the exhibition, with an exhibition area of 10,000 square meters. 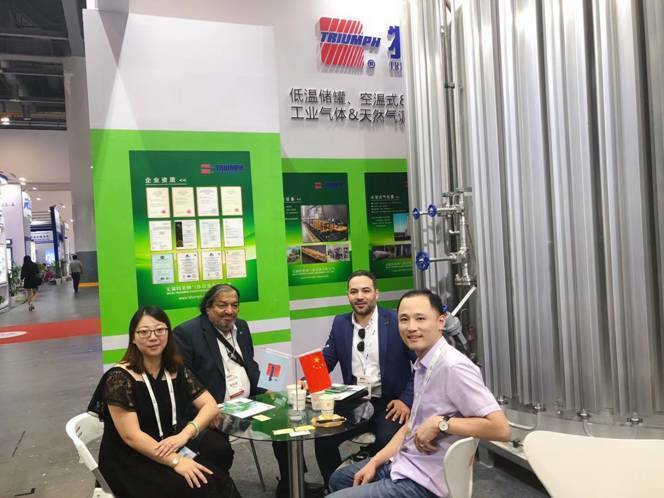 According to the statistics of the organizers, the professional buyers from more than 10 countries in this exhibition include Russia, Czech Republic, Poland, Belgium, UK, India, Thailand, the United Arab Emirates, Oman, Egypt, Botswana et. 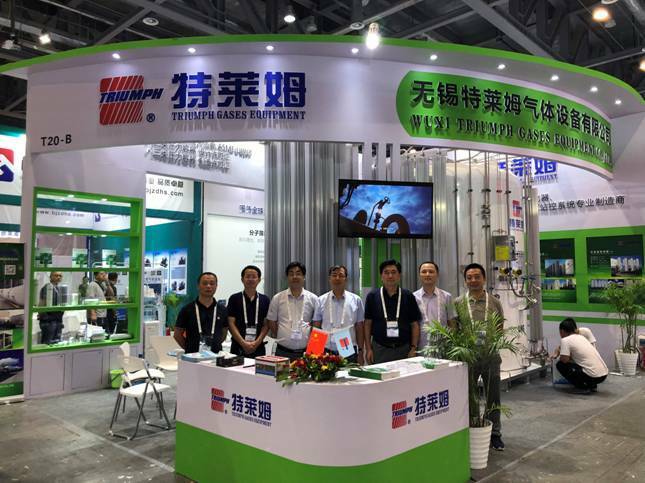 The exhibition site is full of people, and the vitality indicates the vigorous development of the gas industry. TRIUMPH Wuxi is located in Chinese famous tourist city --- Wuxi, in Jiangsu province, China. Triumph also is a high-tech enterprise. TRIUMPH runs with 80 million Yuan registered capital, with 300 employees and 300 million Yuan annual revenue. The company has been awarded 50 national patents successively as well as the right to operate import and export independently. A large amount of products have been exported worldwide. The company is also one of the national standard participation units for related gas equipment. 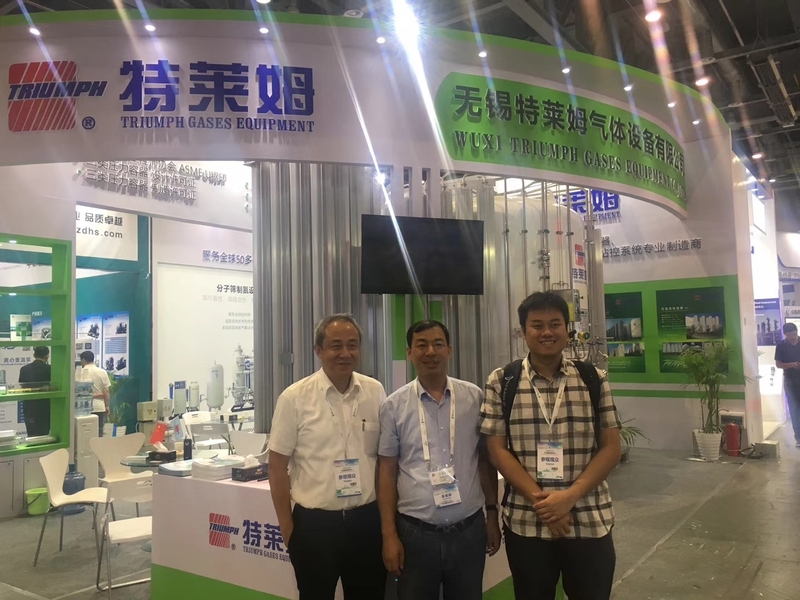 This time, the main sales of Triumph has came to the exhibition, which gathered domestic and foreign gas users, and communicate with the new and old customers. 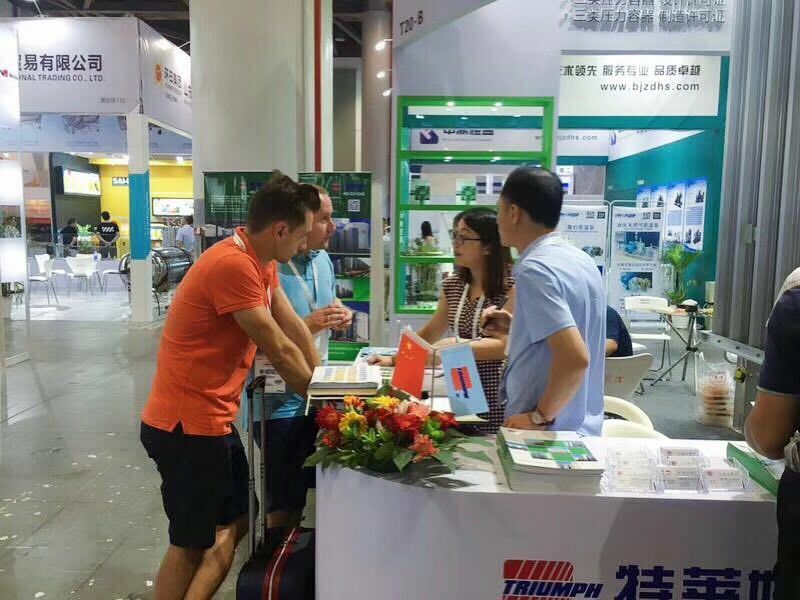 Among all the exhibitors, Triumph has the most complete products and the most series, which has received strong interest and attention from the visitors. During the exhibition, Triumph bring a 7.5M3 LNG Micro-bulk to the site for customers to visit, this micro bulk includes LNG storage, gasification, pressure regulation, metering and signal transmission. Thanks to its compact design and easy movement, it has won the favor of customers. Another equipment is an Ambient air vaporizer, which is designed and manufactured in accordance with the ASME standard. It is all-aluminum structure, reasonable design, remarkable heat transfer effect, and owns multiple patents are really refreshing. Both exhibits have become the focus of this exhibition.